Who is responsible for referees getting Respect? Respect for referees has been back on the national agenda this week. FA figures reported by BBC Radio 5 Live revealed that there have been 330 assaults on referees by amateur footballers in England so far this season, an increase of 27% on last year. The figures, taken at the end of February, show that the most serious assaults were down from eight last year to three so far this season, but incidents of causing or attempting to cause bodily harm were up from 47 to 53 over the same period. Most frequent were common assaults, which went up from 205 incidents last year to 276 this year. Common assault includes barging and pushing - the sort of behaviour that is often seen on a football pitch, but not usually towards referees. Whilst the FA are “concerned” at the figures, they have been keen to point out that, with 35,000 matches happening in England every weekend, assaults of this nature are still extremely rare. “I deplore any assault on a referee, but we’ve got to say that this isn’t the experience of most referees in this country,” said Dermot Collins, the FA’s Respect Manager. 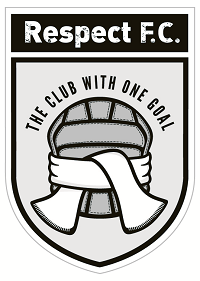 “When we launched the Respect programme two and half seasons ago we always acknowledged we were up against a pretty significant problem. “We were looking to change some pretty well established and engrained poor behaviour and that’s what we’ve been doing. Indeed, FA statistics published this January show a 29% increase in the number of male referees (26,889) and a 31% increase in the number of female referees (853) involved in the national game since the Respect programme was introduced in 2008. Statistics also show that dissent cautions across the top four divisions of English football we were down by 9% in 2009-10 compared to the season before. Whether that figure represents a true reduction in dissent or an increased level of tolerance from referees in the professional game is a point of debate. Indeed, some observers believe that poor behaviour in the grassroots game will not be fully addressed while professional players and managers continue to set a bad example. “I recognise that,” said Collins, “but we don’t see referees being chased around the car park at The Emirates or Old Trafford. Premier League players shouting at referees may foster a culture of disrespect throughout football - while media hype and analysis around refereeing mistakes does little to help - but do those of us involved at the grassroots have a right to moan about the professional game unless we also do our part? This is our game, so shouldn't we all have a responsibility for our own behaviour and that of our team mates? Collins certainly believes so. "I work for the FA but I’m also a coach, I’m a team captain, I’m a club chairman and, in all of those roles, I’ve got a chance to influence the way that people behave towards referees. That’s really what we’ve got to do throughout football." Have your say: just who is responsible for improving respect to refs? With the issue of Respect back on the agenda, we want to hear from you. Who do you think is responsible for ensuring that referees get the respect they deserve? What examples of good practice have you seen at grassroots level to help improve respect? What can we do ourselves to ensure that officials are treated correctly? And if someone at your football club pushed a referee how would they be dealt with by the club? Is the issue of respect at grassroots level one for the grassroots game to address on its own? Or does the example of the professional game have a part to play? Will poor behaviour ever be eradicated in the amateur game whilst it exists in the professional ranks? Rugby referees' authority is never questioned, so why can't football follow their example? So many questions on a big issue for the grassroots game, so we want to hear from you. Tell us what you think in the comments section below.